Plans for national ID cards may need to be reconsidered following the breakdown of a pilot project in Cornwall. The 'smart card' was tested through the Cornish Key scheme, but now the trial is to be withdrawn, despite an investment of £1.5m of government cash. About 50,000 people signed up to access public services such as concessions on the buses and library membership using the Cornish key smart card. 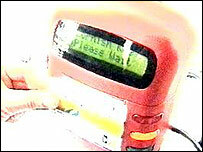 Problems with scanning machines are being blamed for the failure. Cornish Key is operated by a partnership of local district and county councils. North Cornwall District Council is one of the partners and spokesman Paul Masters believes the card was far from practical. He says the failure of the smart technology in Cornwall needs to be addressed if a future government were to use it for national identity cards. A recent review of the project concluded that the card used in the pilot was not affordable in the longer term. A new cheaper style of card which will offer improved reliability is due to be launched later this month by the councils responsible for the countywide concessionary fares scheme. The existing Cornish Key cards will still be valid for use on buses and in libraries, but "active cards" will gradually be replaced with the new format card. Roger Hargreaves, a spokesman for the county's passenger transport unit, says the smart cards will be phased out and replaced with simpler versions. He said: "For many years we'll actually see Cornish key cards and the new bus pass running alongside each other. "There's no need for anyone to rush out and change the key card for a new one. What we are doing is issuing new cards to new applicants."